Governor’s spokesperson, Daniel Garcia cites Rempillo’s failure to accomplish a Provincial Health Office program and projects operation plan. Albay Governor Al Francis C. Bichara. The Philippine Examiner file photo. Legazpi City, [02.03.19] – Albay Governor Al Francis C. Bichara is facing charges of grave abuse of authority and grave misconduct before the Office of the Ombudsman for his refusal to reinstate Dr. Nathaniel Rempillo, former chief of the Albay Health Office. Rempillo in an interview last week admitted that he has filed charges for grave misconduct and administrative complaints about grave abuse of authority arising from his relief as chief of the provincial health office and being transferred to the newly created Provincial Health Care Development Committee (PHCDC) on June 9, 2017. He claimed that the order for his transfer was issued on June 9, 2017, then came another order made on June 13, 2017, of the same year creating the PHCDC. Despite the inconsistencies of the order, he obeyed the reassignment order heading a non-existing order committee with no alleged personnel to work with. Rempillo told media that he already doubted the motive of his reassignment but still followed the Bichara directive of reassignment believing that it was for the interest of the service. He said he readily functioned as head of PHCDC, without availing of his right to appeal his reassignment before the Civil Service Commission. Rempillo said while doing his duties he was not allowed to collect the PhP17,000.00 monthly Representation and Transportation Allowance (RATA) and the PhP1,500.00 cellphone load that he deserved to receive as Provincial Health Officer III. As his reassignment order ended in on June 9, 2018, as prescribed by the Civil Service Commission, he wrote a letter to Bichara about his readiness to return to his post citing the CSC ruling where it said that reassignment to other posts would only be allowed for a year term. Rempillo said he would question and challenge the directive saying “he is ready to fight for my right as a government employee being given unfair treatment; this fight is not only for myself but to the other government employee that has been subjected to the transfer and reassignment. He said there were several employees at the provincial capitol that have met the same fate as he is when Bichara moved in as governor in July 2016. Oddly, Bichara in addressing Rempillo’s concern, issued an office order (No.85) on June 18, 2018 directing him to continue to function as head of the committee which prompted him to make a written appeal for reconsideration again citing the Omnibus rules on Appointments and other Personal Actions promulgated of the CSC which allow reassignment only for a minimum period of one year. Bichara even transferred the PHO office and staff at the Albay Public Safety Office (APSEMO) here to the Josefina B. Duran District Hospital in Ligao City. Rempillo describes the transfer to be a sort of a personal “harassment” on him leaving him alone in a big office space with no personnel. He also considers it as a dislocation of 75 PHO personnel majority of which live in Legazpi City and neighboring towns in the second district of the province. Rempillo said he could have gotten the ire of the administration when he refused to sign purchase receipts documents for the procurement of medicines and other supplies which according to him are questionable. 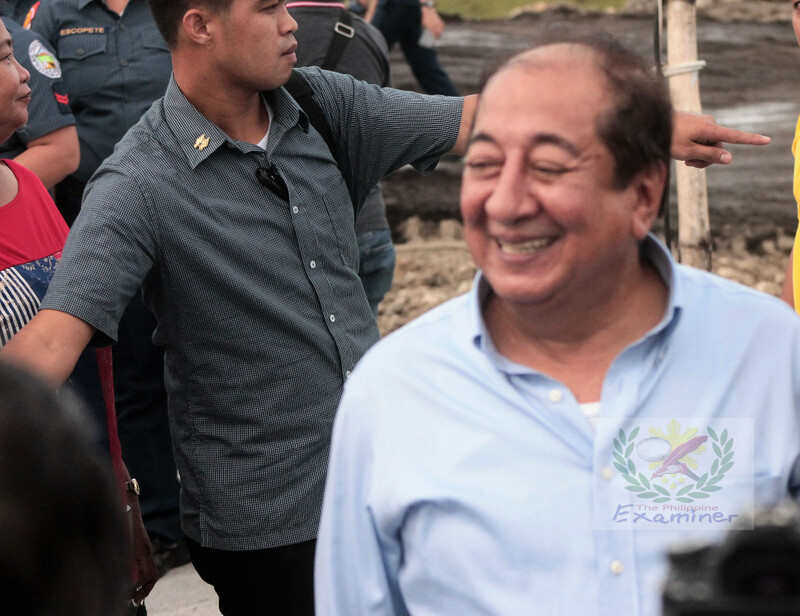 According to Garcia, the Governor has readily answered all complaints slapped on him by Rempillo and the Governor is hoping that the complaint is immediately resolved by the Ombudsman. Garcia in a phone interview said the Governor took notice of the failure of Rempillo to accomplish his assigned task to prepare a program, projects plan for the Provincial Health Office operation. “He was not able to perform and deliver what was expected of him; his transfer was to look for somebody to perform the task given by the Governor,” Garcia said. Replacing Rempillo as PHO head, Bichara designated Dr. Antonio Ludovice, PHO II as Officer-in-Charge.